We understand that color selection can be a stressful event, especially when there are so many color options available. That is why Fresh Coat offers FREE color consultation services for all our customers. Are you banging your head against the poorly colored wall? Do you not understand what trim or accent colors go with your already selected base color? Many customers (most, actually) find this process to be difficult to undertake themselves. Who would want to spend their money painting a surface a color that they do not like! Once you have partnered with Fresh Coat, the first step in the scheduling sequence is to have a color consultation. During this meeting, we will review the complete scope of your project, look at existing colors, find out if you have any preliminary color notions, and look at all the surfaces to be painted. The initial process is built-around a funnel affect which can narrow down the color choices from thousands to a few favorites. Once we have identified a few colors, WE order samples, WE pick-up the samples, WE place the samples directly onto the surface(s) to be painted, and WE come back to review the colors in person with our customers. 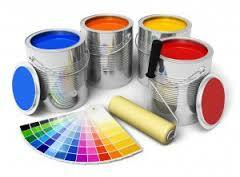 Most other painting contractors in the area will require that you (the customer) put in the effort to selecting color. Why is this? We are the experts and see color's on a daily basis. We should be the one's helping you reach a decision. The best part about it, we enjoy doing it!